In 2005, the FDA approved two silicone gel breast implants. However, FDA scientists had concluded that neither company provided sufficient data to answer questions about the safety of the products and the agency’s outside scientific advisors had recommended against approval of one of the applications. This decision culminated a 15 year-long struggle between the FDA and the implant manufacturers who resisted calls for long-term studies of the device. The National Women’s Health Network does not believe that silicone breast implants have been shown to be safe for long-term use. The FDA has asked implant manufacturers to inform women receiving implants that they will need regular MRI exams (which women will have to pay for out of their own pocket) to detect rupture and to keep the clinical trials going until they have collected 10 years worth of data.2 The approvals were based on 2-3 years of data. These measures could help protect women’s health and answer important outstanding questions about the safety of silicone gel breast implants, however, the FDA has an extremely weak track record when it comes to ensuring that conditions such as these are met. The studies that the companies have conducted have shown that even in the first few years after women receive silicone gel breast implants, they experience high rates of complications and health problems. Women who received implants for augmentation experienced significant increases in muscle and joint pain, muscle weakness, fatigue and other signs and symptoms of connective tissue disease within two years. Prior to getting implants, these were healthy women, with an average age of 34. Breast implants do not last forever. Some break within the first few months of being implanted and some last more than 15 years. A study conducted by researchers at the FDA found that the majority of women with implants had a broken implant within 15 years; the likelihood of rupture tends to increase over time. Despite the FDA’s official regulatory guidance asking implant manufacturers to gather data that would allow them to estimate how many implants will rupture over the expected lifetime of the device, neither company has provided more than 3 years of rupture data.7 For a device that will remain inside a woman’s body for the rest of her life, this is simply not enough. There are still many unanswered questions about the damage that silicone gel implants may cause. When silicone implants break, silicone gel is released into the body. The long-term effects that this has on women’s health have not been adequately researched. Researchers have suggested that exposure to toxins in silicone gel may be the trigger that causes women who are predisposed to autoimmune disease to develop it. Silicone gel has been found to migrate to distant parts of the body and to lymph nodes, where it may remain there for at least several years. Some scientists have theorized that silicone gel in the lymph system could result in the development of autoimmune disease. The bottom line is that we do not know enough about the long-term potential for disease associated with silicone gel implants. Additionally, according to the Institute of Medicine (IOM) women who have had any kind of breast surgery, including implant surgery, are three times more likely to have an inadequate supply of milk for breastfeeding.9 Concerns have been raised about the safety of breastfeeding with implants. There isn’t enough information about the health of children breastfed by women with implants to answer mothers’ questions or lay the concerns to rest. Because most implants will eventually break or cause health problems, women with implants are likely to need additional surgeries to remove or replace their implants. According to a study published in the New England Journal of Medicine, one in four women who get implants will require additional surgery. While the initial implant surgery is usually covered by health insurance for mastectomy patients, costs associated with additional surgeries may not be covered and are less likely to be covered for augmentation patients. There are loan packages available to finance the costs of the initial surgery (approximately $4,000-$6,000) for a woman whose insurance does not cover it, but she may find herself stuck with future surgical costs that she did not plan for. The cost of removing or replacing implants can be higher than the cost of getting implants in the first place. Some women have to live with deflated, leaky implants and painful, misshapen breasts because they cannot afford to have their implants removed. The Implant Information Project is a website sponsored by the National Research Center for Women & Families designed for girls and women considering breast implants, and for those who already have implants and want more information. 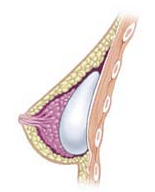 The website gives helpful information about breast augmentation and breast reconstruction. Individuals can contact The Implant Information Project with specific questions directly via phone at (202) 223-4000 or email at info@breastimplantinfo.org. Toxic Discoveries produces educational materials and information concerning chemical injury and medical device failure, including breast implants. The National Women’s Health Network is committed to ensuring that women have access to accurate, balanced information about silicone gel breast implants. If you have a question you would like to ask NWHN, submit it on our weekly Q & A column “Since You Asked.” Stay informed, connect with us on Facebook and Twitter. 1. U.S. Food and Drug Administration Website, Regulatory History of Breast Implants in the U.S.,Silver Spring, MD: FDA 2013. Retrieved on June 22, 2015 from: http://www.fda.gov/MedicalDevices/ProductsandMedicalProcedures/ImplantsandProsthetics/BreastImplants/ucm064461.htm. 2. U.S. Food and Drug Administration Website, FDA Approves Silicone Gel-Filled Breast Implants After In-Depth Evaluation, Silver Spring, MD: FDA 2006. Retrieved on June 22, 2015 from: http://www.fda.gov/NewsEvents/Newsroom/PressAnnouncements/2006/ucm108790.htm. 3. Zuckerman D, Nagelin-Anderson E, and Santoro E, What You Need to Know About Breast Implants, Washington, D.C.: National Center for Health Research 2015. Retrieved on June 22, 2015 from: http://center4research.org/medical-care-for-adults/breast-implants-and-other-cosmetic-procedures/what-you-need-to-know-about-breast-implants/. 4. Zuckerman D, Nagelin-Anderson E, and Santoro E, What You Need to Know About Breast Implants, Washington, D.C.: National Center for Health Research 2015. Retrieved on June 22, 2015 from: http://center4research.org/medical-care-for-adults/breast-implants-and-other-cosmetic-procedures/what-you-need-to-know-about-breast-implants/. 5. National Cancer Institute Website, Follow Up Study on Women with Augmentation Mammoplasty, Rockville, MD : Division of Cancer Epidemiology and Genetics, no date. Retrieved on June 22, 2015 from: http://dceg.cancer.gov/research/who-we-study/cohorts/augmentation-mammoplasty-women-follow-up-study. 6. Zuckerman D, Nagelin-Anderson E, and Santoro E, A Research and Regulatory Summary, Washington, D.C.: National Center for Health Research 2012. Retrieved on June 22, 2015 from: http://center4research.org/medical-care-for-adults/breast-implants-and-other-cosmetic-procedures/breast-implants-a-research-and-regulatory-summary/. 7. Zuckerman D, Nagelin-Anderson E, and Santoro E, A Research and Regulatory Summary, Washington, D.C.: National Center for Health Research 2012. Retrieved on June 22, 2015 from: http://center4research.org/medical-care-for-adults/breast-implants-and-other-cosmetic-procedures/breast-implants-a-research-and-regulatory-summary/. 8. Zuckerman D, Nagelin-Anderson E, and Santoro E, A Research and Regulatory Summary, Washington, D.C.: National Center for Health Research 2012. Retrieved on June 22, 2015 from: http://center4research.org/medical-care-for-adults/breast-implants-and-other-cosmetic-procedures/breast-implants-a-research-and-regulatory-summary/. 9. Zuckerman D, Nagelin-Anderson E, and Santoro E, A Research and Regulatory Summary, Washington, D.C.: National Center for Health Research 2012. Retrieved on June 22, 2015 from: http://center4research.org/medical-care-for-adults/breast-implants-and-other-cosmetic-procedures/breast-implants-a-research-and-regulatory-summary/.